In the digital age, our experience with healthcare is rapidly changing. 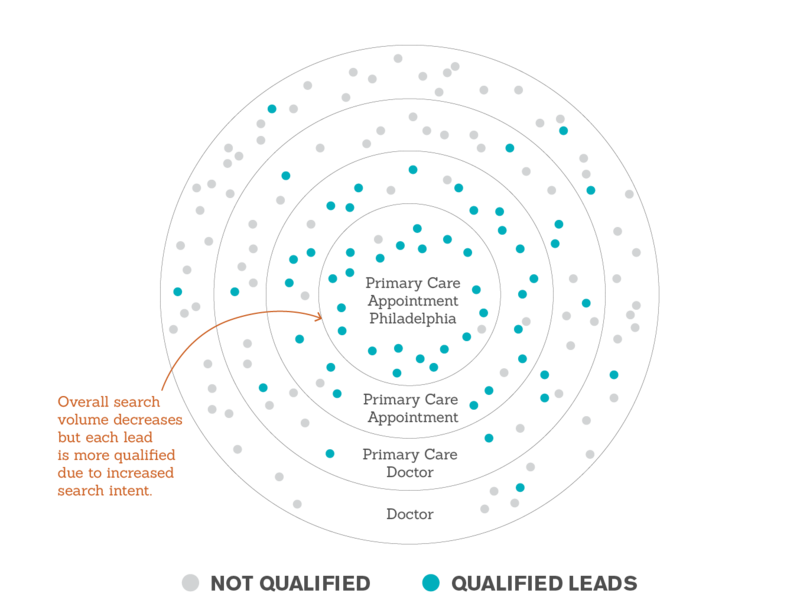 While traditional marketing has long been a part of finding the best healthcare providers,¹ search is now an essential piece of the healthcare industry’s marketing strategy. 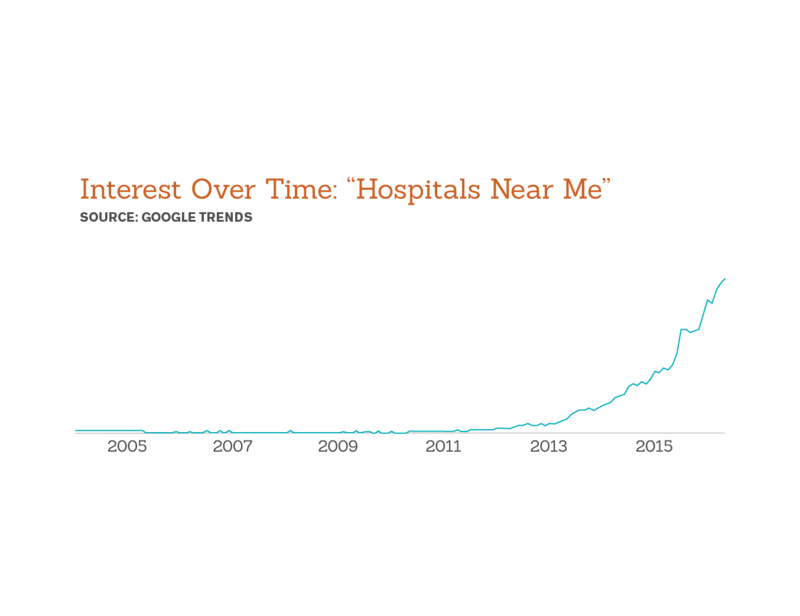 According to data provided by Google, searches for hospitals and health clinics have been steadily increasing. In January 2016 alone, user queries in the health industry have reached an all-time high since 2004. Searching online for your health needs isn’t just a trend, but a logical progression in the approach to healthcare. Einstein Healthcare Network, a private, non-profit organization, recognized this growing digital trend amongst their target audience. With an objective to provide compassionate, high-quality healthcare to the greater Philadelphia region, Einstein Healthcare responded by partnering with Seer Interactive to bring their marketing efforts into the digital world. By better understanding our audience’s path in choosing a healthcare provider, Einstein Healthcare and Seer crafted a pay-per-click (PPC) strategy that was key to addressing these challenges. PPC ads have the ability to support all parts of our audience’s journey to picking their healthcare provider. For example, we can bid on keywords that match to broader medical queries, at the top of the funnel, down to competitor names, in the research phase before converting. Utilizing PPC’s advertising ability in identifying the audience’s journey, Einstein Healthcare set an ambitious goal of improving their online appointment requests by 140% based on historical performance. Can Einstein Healthcare help my specific needs? Why should I choose Einstein Healthcare over anyone else? Do I trust Einstein Healthcare? After establishing priority service lines with Einstein Healthcare, Seer evaluated keyword coverage to ensure we were addressing all of our audience’s needs. Our campaign restructure was focused on analyzing keyword intent to help understand our audience at every stage of the search journey. This provided the organizational roadmap for areas of PPC refinement or expansion, overall providing better control. After our campaign restructure, Seer took a close look at the ad copy language to see if it was speaking to our audience. General ad copy can get lost in the search engine results page (SERP), so we needed PPC copy that stood out and acted as a lighthouse to guide people to the right place. 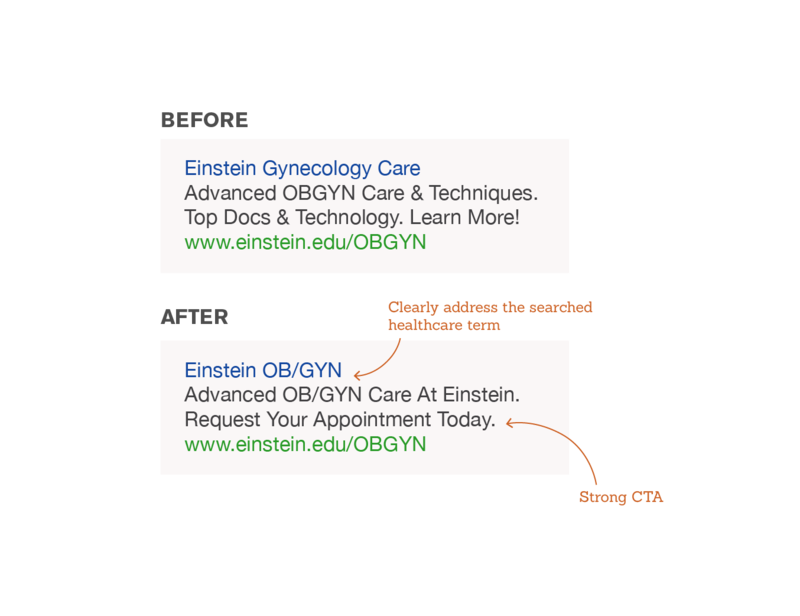 Our priority was to create ads that clearly addressed the searched healthcare term (such as “OB/GYN”) and employed a strong “Request Your Appointment Today” call-to-action. The original landing page lead searchers to text-heavy, generalized information. 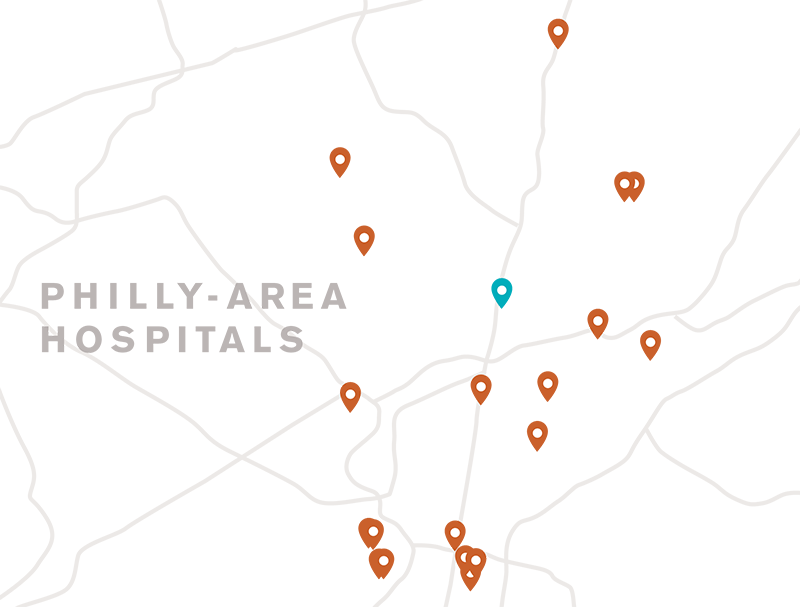 Were we providing users with the content and next steps they were looking for? Did our landing page experience build trust? 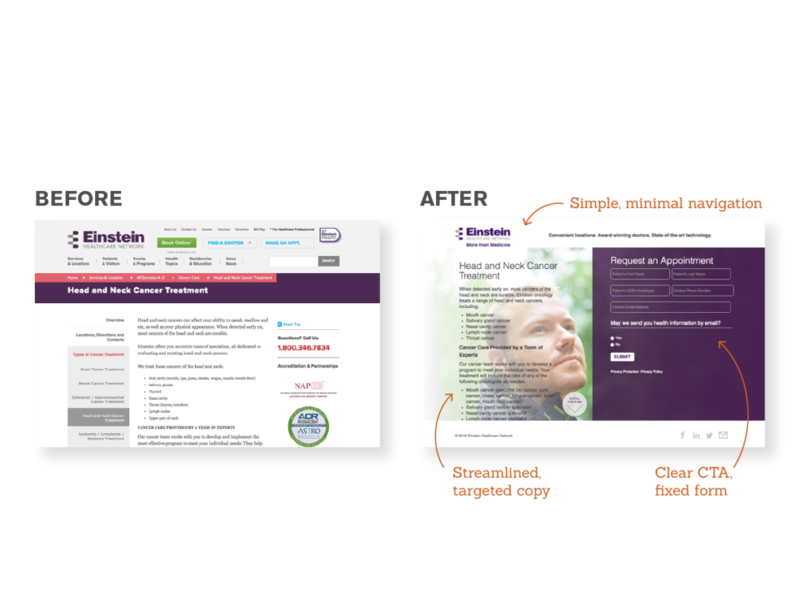 Einstein and Seer worked together to design streamlined landing pages specific to the searcher’s service line of choice. These new pages were clearer for our target audience; they provided the necessary information in a digestible manner and possessed a clear call to action that easily directed folks to submit a request for an appointment. Together, the Einstein Healthcare and Seer team responded to the changing digital healthcare landscape with a thorough PPC strategy. By having clear objectives and priorities from Einstein Healthcare, Seer restructured campaigns ensuring coverage and control, re-wrote ad copy that stood out, and served the best landing page experience. Ultimately, we were able to increase online appointment requests by 197% and overall performance by 266% YoY by December 2015, blowing our original goals out of the water. 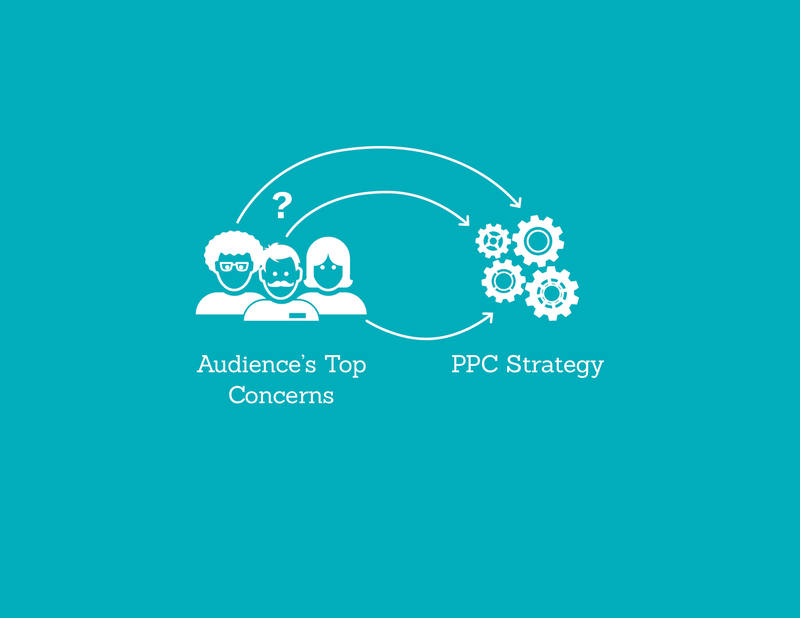 Interested in starting PPC campaigns like this for your company? 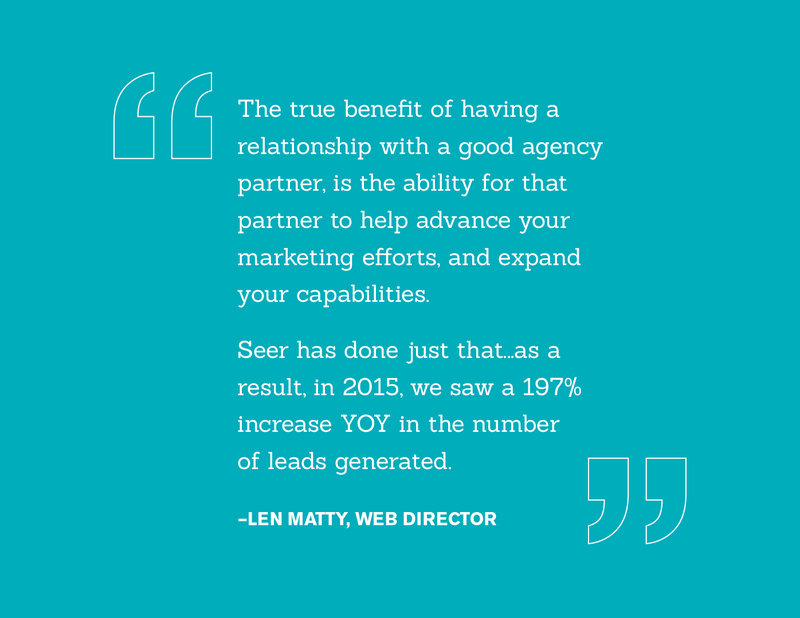 Contact Seer today! “The Digital Journey to Wellness: Hospital Selection.” Think with Google. N.p., Sept. 2012. Blendon, Robert J., Sc.D, John M. Benson, M.A., and Joachim O. Hero, M.P.H. “Public Trust in Physicians – U.S. Medicine in International Perspective — NEJM.” New England Journal of Medicine. New England Journal of Medicine, 23 Oct. 2014.